Hostal Lleras Calle 8 Medellin i Medellin, Colombia : Boka nu! 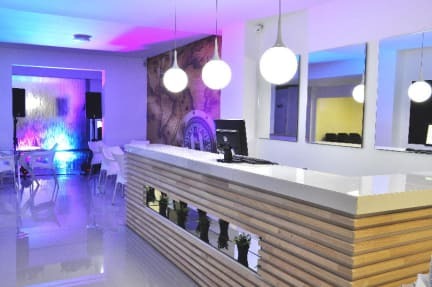 Hostal Lleras Calle 8 Medellin, is a new and different alternative accommodation. We are located in one of the most exclusive areas of the city, Parque Lleras in the Poblado neighborhood in Medellin, Colombia. 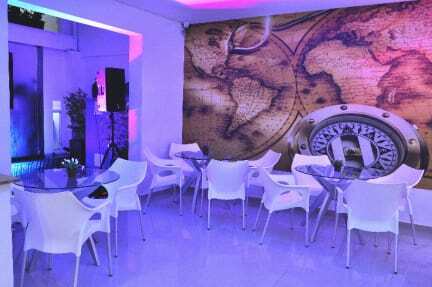 We provide hosting services in private and shared rooms for individuals, couples, families and groups. We are committed to quality and continuous improvement, excellence in service, comfort, convenience and safety for our customers, providing a friendly, flexible and personalized service. Loved my stay here. Great staff to help you with any questions and concerns. If you dont have a speaker you can use the big one in the reception which creates a lovely atmosphere for partying at the hostal, or to get you in the mood to go out (everything ia really close). One of the best overall hostels I have ever stayed at! A calm place to stay, most often. Helpful staff. Doctor came and saw me for free at the hostel. Neat beds and near party.